Continuing my series of posts on Holographic App Development Using Microsoft HoloLens, here is one more addition to the series. This should have been the very first post of the series, given the fact it talks about a little background on where holographic app development stands. I have received several questions about this, and it is one of the common topic every time we start discussing around holographic app development. In this post you will get a quick over of different types of digital reality, and where does holographic app development stand, so that you can relate with each other. Digital Reality brings the immersive experience – perception of being present in a non-physical world or being present in both – physical and non-physical. Applications around the Digital Reality are evolving day by day; some of them are in the field of education, gaming, tourism, aerospace, productivity, enterprise applications, and so on. While they all bring immersive experience and regardless of having many other similarities, they are not the same. Let’s try to understand each one of them. It replaces the whole view with the simulated environment and totally disconnects you from the real world. You get the experience of complete virtual world – The environment you are in, the object your seeing & interacting, the sound you are hearing – everything is replaced. This will make you believe that you are somewhere else. Virtual Realities devices are usually connected to a smartphone or computer, which does all the 3D rendering work, and Head Mounted Device (HMD) is just used to display that rendered 3D content. HMD completely covers user’s view, as a result, the user is completely cut off from the outside world and completely focused on the virtual or digital world. It enhancements the real environments with digital objects. Digital content such as text, 3d objects or other graphical information’s are overlaid over the original surface. It does not block our view or does not takes us any other environment. Pokémon GO, one of the very famous games, is an example Augmented Reality. Augmented Reality can be categorized in the different category such as projection based, screen-based, or HMD based. It’s like blending digital objects and physical object, and you can interact with both. In Mixed Reality, digital object has a clear understanding of the real surfaces and it’s renders objects accordingly. You can interact with both physical as well as the virtual objects. Check out the following video on Mixed Reality which talks about blending the physical and virtual world. Microsoft HoloLens is the holographic device that deliver Windows Mixed Reality experiences. We see through lenses and allows interacting both physical and virtual objects. Although these technologies ( Virtual Reality, Augmented Reality, Mixed Reality) looks similar in the way we used them, and sometimes the difference is confusing to understand as it has some overlap. As you can see in the following diagram, there is a very clear distinction between AR and VR. However, MR has a spectrum, which overlaps across all three boundaries of real world, AR, and MR.
To Summarize, Virtual Reality (VR), replaces the real world, where as Augmented Reality (AR), overlays the digital contents into real space. Mixed Reality(MR) blends, virtual object and physical objects into real space. Technology Leader, Technical Strategist, Solution Architect, Development Consultant and a Trusted Technology Advisor with more than 11.5 years of experience in the IT industry with expertise in Development, Architecting, Engineering, Consulting, and Services Delivery. 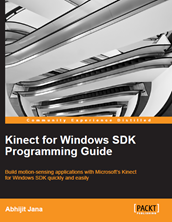 I am a former Microsoft MVP, Author of "Kinect for Windows SDK Programming Guide" and "HoloLens BluePrints" books and founder of The Daily .NET Tips . To know more about me visit "About Me" page.